Hunting a Painting Contractor in Ooltewah, TN? Hire your Ooltewah painting contractor at Williams Painting Company and you’ll be delighted to know that we base our reputation off of good customer service. If you want a group of friendly and talented painters to paint your home, then go with us as we have over 25 years of experience in the Ooltewah area. From interior faux finishing to exterior deck staining and pressure washing, you’re sure to find the perfect service at Williams Painting Company to upgrade your home. There are lots of things to do in the Ooltewah area. You can take a nice quiet stroll through our little downtown area or you can grab a quick bite to eat at our country cafes. You can also hire a painting contractor if necessary. Being so close to Chattanooga, we are one of those cities that people pass through. Most people decide to live in this area due to the small population of 687 people (2010). But homes in this area are affordable and sit back into the beautiful countryside. Seeing that a lot of these homes were built decades ago, there are many wooded ones. 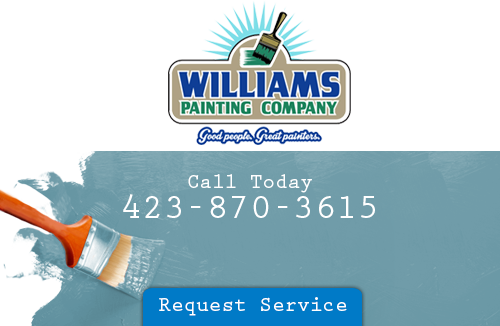 If you have just recently purchased a home in the area, then you should call Williams Painting Company for exterior painting services. You’ll enjoy the look of your home as it will look almost like new. Call for more details in regards to your home. You’ll know when you find your choice house painter as they will be the choice Ooltewah painting contractor in the area. A good house painter is one who can start the job as soon as possible and get the job completed without errors. You’ll need to start paying better attention to the behavior to painting contractors in the area. If they don’t act professional, then chances are that when they reach your home they won’t be still. You want a true professional to paint your home. Always make sure that breaks are short and they are always staying busy. A good contractor is one that’s always keeping busy whether they are preparing a site or taking one down for clean up. Do you value the safety of your home? If you do, then maybe it’s time that you took better care of its exterior. A pressure washing from Williams Painting Company would do the trick. Our pressure washing service beats all as we get all the dirt off your home never leaving anything behind. Contact your Ooltewah pressure washing specialist and schedule an appointment with our fine painting staff. You’ll be very pleased to know that have have over two decades worth of experience and use a environment ally safe solution that will not harm your grass nor flowers. A million thanks for working with us on the scheduling of our paint job. We are very pleased with the quality of workmanship and ethics of both painters. George and I look forward to working with you again hopefully in the not-too-distant future. If you are looking for an Ooltewah painting contractor, please call 423-870-3615 or complete our online request form.